Cutting the mayo from your sandwich doesn't require sacrificing flavor. 2 How Many Calories Are in a Whopper With No Cheese, Mustard & No Mayo? Mayo gives a tuna sandwich richness that is hard to beat. But with the calorie count of mayonnaise only a few points below butter, at 188 calories for 2 tablespoons compared to butter's 204 calories, it makes sense to look for alternatives. Luckily, there are plenty of creamy, flavorful, lower-calorie alternatives for you to pair with mayo and reduce its hefty calorie count. You can still have a tasty, lower-calorie tuna sandwich with just a few tweaks. To lower the calorie count for your tuna sandwich but still keep it creamy, experiment with substituting half the mayonnaise with yogurt. 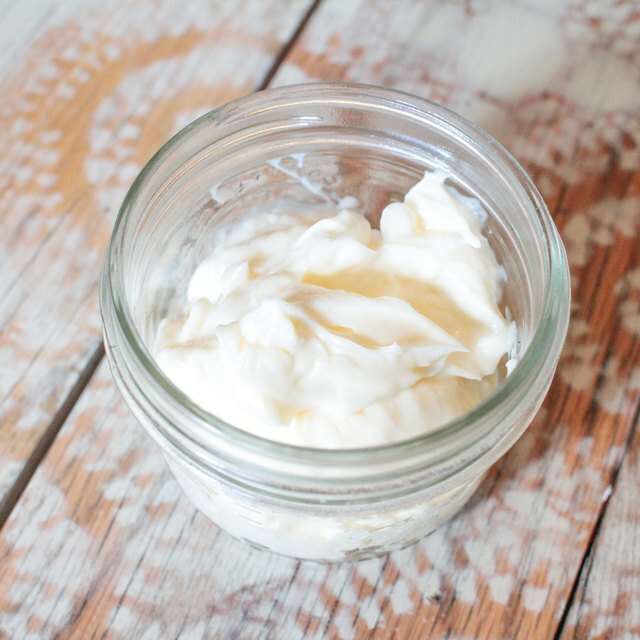 Regular or Greek yogurt add plenty of moisture and tanginess to canned tuna. But they are also a somewhat runny compared to the thick, creamy consistency of mayonnaise. Substituting 1 tablespoon of plain, whole milk yogurt or Greek yogurt for 1 tablespoon of mayo results in a total of 107 calories compared to 188 calories of mayo alone. Sour cream has the tang of yogurt but with more creaminess and fewer calories, and so you can use less mayonnaise, if not eliminate it altogether. But sour cream still doesn't have the full richness of mayonnaise, and you may want to use a proportion of 3 parts sour cream to 1 part mayonnaise. With the switch, the calorie count drops from mayo's 188 calories to 124 with full fat sour cream and 114 calories if using light sour cream. In a TV piece aired by 60 Minutes in 2008, President Obama and his family are shown adding both mustard and mayonnaise to their canned tuna.With five calories in a 1 tablespoon serving, Dijon mustard adds moisture and spice to canned tuna, allowing you to cut the mayo back even further than you can with yogurt or sour cream. Add just 1/2 tablespoon of mayo and 1 1/2 tablespoons of mustard for a calorie count of 55. Mayo isn't the only part of your sandwich that needs consideration: the levels of mercury in canned tuna make it potentially unsafe. The U.S. Environmental Protection Agency recommends that people eat white or albacore tuna only one to three times a month. Light tuna is somewhat lower in mercury levels, and older children and adults can eat it safely once a week. Try canned salmon for a safer alternative to tuna.